Call today, 936-441-4275, and if you purchase between March 11, 2019 – April 21, 2019, you will receive a 10-year extended warranty and your first year of maintenance FREE*. Family owned and operated since 1979 (for over 36 years), W & A Electric Service dba ARK Generator Services has been taking care of our clients with the “Best in Class, 24/7, satisfaction guaranteed” customer service. 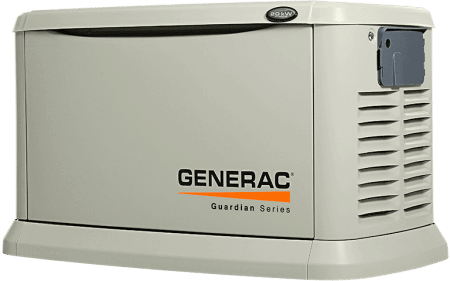 ARK Generator Services originally started as a small residential, light commercial electrical business serving all Houstonians on the north side of town. According to owner Tim Weaver, “we cut our teeth on installing all facets of small to large residential projects as well as small to medium commercial projects. This wealth of experience and knowledge in the residential market enables us to tackle any generator install, large or small, residential or commercial. Whether the client is in the city or the country, we are the “Go to Guys” for code compliant installs and gold star customer service”. Meticulous planning on our end translates into a job that flows seamlessly. From the first email or phone call to the last handshake, ARK Generator Services will make this experience uneventful. LOW MONTHLY PAYMENTS AVAILABLE LIMITED TIME OFFER SUBJECT TO CREDIT APPROVAL.